We cover all three Bradford test centres: Heaton, Steeton and Thornbury. PassMeFast makes it easy to learn to drive in Bradford! Take a driving course with us in Brighouse and pass at nearby test centres in Huddersfield, Heckmondwike or Halifax. Learn more here! We have DVSA-approved instructors covering the whole of Calderdale. Learn to drive in Calderdale with us and get your licence fast! It's quick and easy to learn to drive in Dewsbury with PassMeFast. Take your test close to home and pass in as little as a few days! Ready to learn to drive in Halifax? With a crash course from PassMeFast, it couldn't be quicker or easier. Learn more here. If you live in Huddersfield, you could pass your driving test in as little as a few days with a crash course from PassMeFast! 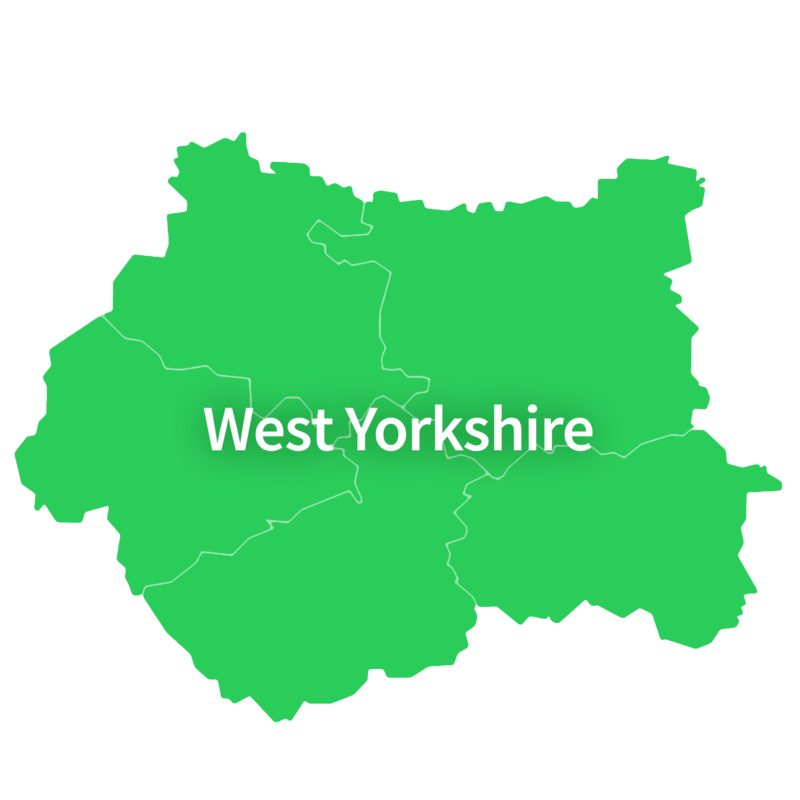 We cover the whole of Kirklees—which means you could pass your driving test at local test centres in Huddersfield or Heckmondwike. Learn to drive in Leeds with one of our expert instructors, and you could pass at the Leeds or Horsforth test centres in just days. Todmorden lies at the edge of West Yorkshire—but right at the heart of our coverage area. Learn about our driving courses in Todmorden. PassMeFast offers crash courses in Wakefield, as well as in Castleford, Pontefract, Normanton, and beyond. Find out more here.